SYDNEY’S Compass Quartet, led by award-winning altoist Jeremy Rose, comprises each of the four instruments in the saxophone family. 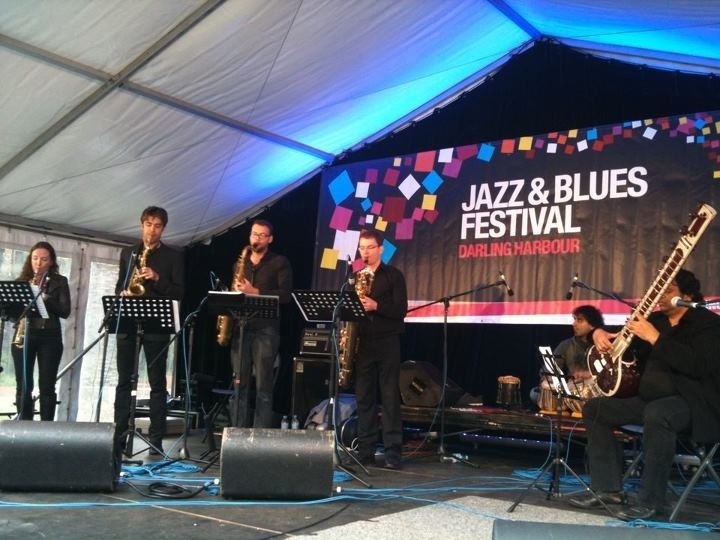 Here they are accompanied by pianist Jackson Harrison, winner of the 2006 Wangaratta Jazz Festival award. Oneirology (the study of dreams) is mostly a four-part suite composed by Rose and inspired by the work of British film director Chris Nolan (The Dark Knight trilogy, Inception), plus two other originals. The absence of a rhythm section frees the horns to move chorale-like in ensemble harmonies, either interspersed with figurative piano or underscored by that instrument. Sometimes three of the saxes play moving chords or melodic passages as the fourth solos. The effect is of a classical-sounding narrative ideally suited to the subject matter, established by the first movement, Daydreamer, where a soothing, relaxing mood of abstraction pervades. Entering the Subconsciousness takes on a more substantial atmosphere as Matthew Ottignon’s tenor weaves quickly and abstractly against varying horn figures. The third movement, Dream Within a Dream, features Rose’s fleeting alto after an opening of wandering reverie using the high end of Christina Leonard’s soprano. The final movement, Reality Check? (Deja Vu), moves into forthright statements, making good use of Luke Gilmour’s baritone in the stark, murkier passages. The two other tracks continue the phantasmagorical mood of the title suite with glimpses of bop ideas. This is a highly original collection of mood-setting pieces demonstrating inspired compositions and musicianship in a classical-jazz approach. Following on from their critically acclaimed 2009 debut album Abrazo Tango (Tall Poppies), and the APRA/MCA Art Music Award nominated Jazz Work of the Year from their 2011 album Ode to an Auto Rickshaw (Earshift Records/Fuse Music), the group now presents an intriguing collaboration with jazz pianist Jackson Harrison. The new album Oneirology (~ study of dreams), features Rose’s new suite for the ensemble Oneirology Suite, based on the Christopher Nolan film Inception. 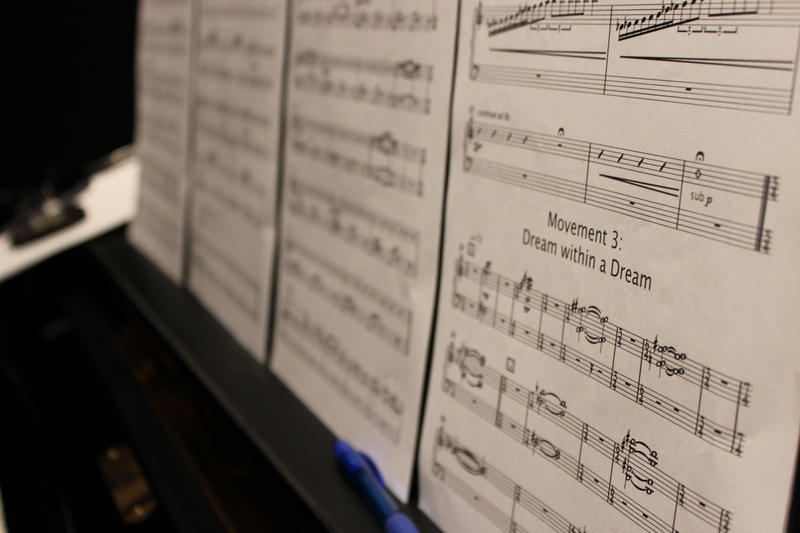 The work explores themes taken from the film in a musical context such as dream within a dream, deja vu and subconsciousness. The work forms part of Rose’s PhD studies at the Sydney Conservatorium under the supervision of Matthew Hindson. Jackson Harrison also contributes his piece Charcoal Chorale to the album, creating a unique collection of Australian compositions. Well, we have received the first mixes from our recording in January and we are pretty excited – some great writing by Jeremy Rose and guest performer/writer Jackson Harrison. Here is a sneak peak of Interplay. Also on the album will be a piece by Jackson – ‘Charcoal Chorale’ – and one more work of Jeremy’s – ‘Interplay’. As with our previous albums, this is very much a collaboration between the four saxes and a special guest – in this case Jackson on piano. We hope to release the project in April at our next SIMA gig. In the meantime check out the photos from the session on our Facebook page – Facebook.com/compassquartet or under the Images tab on our site. A big thank you to Bob Scott and his team for recording the day. Thanks to everyone who braved the weather today…a great crowd at Darling Harbour! A huge thank you to everyone who turned out for our Debut SIMA gig at Sound Lounge and to our special guest artists, Sarangan, Bobby Singh and Jackson Harrison…what a great night! Since then we have travelled up to Singleton for a Musica Viva sponsored gig and were warmly welcomed by their music society. Thank you! Our next gig is tomorrow, Sunday 10 June, where we debut at the Darling Harbour Jazz and Blues Festival. Once again we will be joined by Sarangan and Booby Singh as we play music from our ‘Ode to an Auto Rickshaw’ album.